Bank Owned. 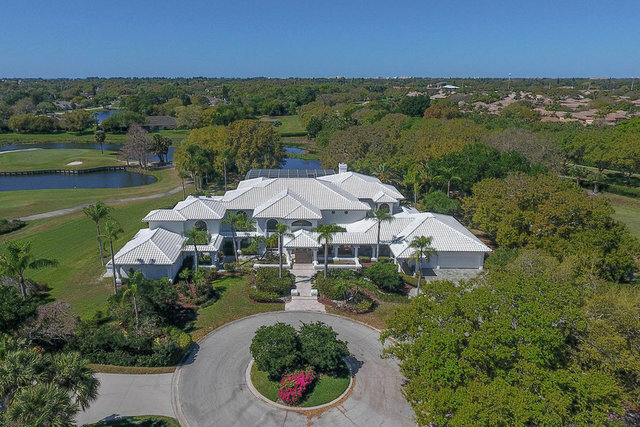 Arguably one of Prestancia's most preeminent residences, this custom estate sits gracefully at the end of a cul-de-sac and is positioned to provide the utmost privacy while still allowing for impressive golf course and lake views from almost every room. The home was built for entertaining with its grand entry, large open rooms, stunning high-volume ceilings and impressive two-story lanai. There are multiple outdoor spaces in addition to the huge lanai and pool area, including second-floor terraces off two rooms, a private lanai with pool and spa accessible from the master suite and an internal courtyard originally designed as a bird aviary. Bring your vision and create something truly special with all this space that includes his and her offices, bar room, loft game room, exercise room, massage room, catering kitchen, and oversized three-car garage. All HVAC equipment replaced in 2019. Enjoy all the amenities of living in this prestigious gated community including optional membership at TPC Prestancia Golf Club featuring two 18-hole courses.